On 16.07.2015, at 09:00, at the building "Ish-Inima" The second floor (Room Europa), Street Pope John Paul II, Tirana, was held regular meeting of the Board of Geospatial Information -BIG, with the participation of majority of its members. 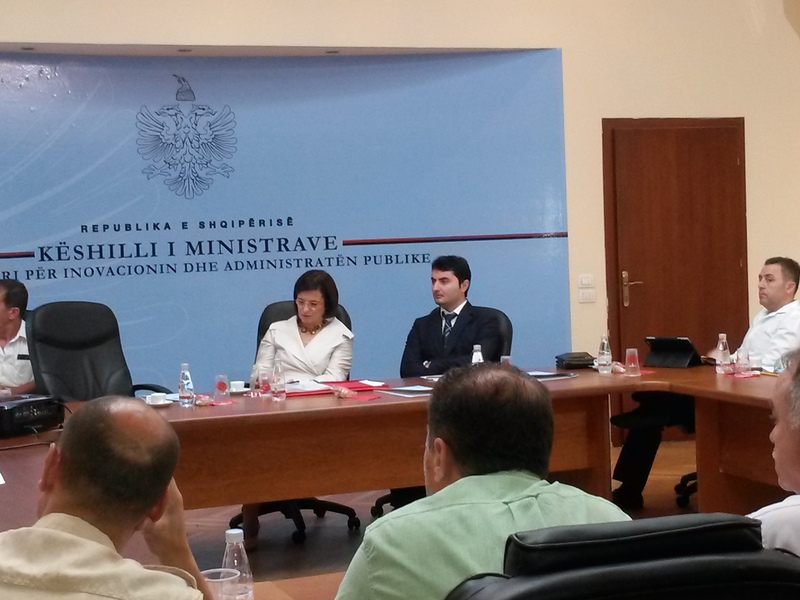 The meeting was chaired by Ms. Milena Harito by the Ministry of Public Administration and Innovation. The meeting discussed and approved according to the agenda following issues: •	The 5-year Strategic Plan for ASIG, introduced by the representative of the "MOG", Mr. Dritan Agolli. •	The Request for comments on the terms of reference for the establishment of the Albanian Information System for the Forest, presented by the Director of Forestry in the Ministry of Environment. •	The project VKM "On the planning and implementation of aerial photography of the Republic of Albania", presented by representatives of ASIG. •	The document "The standard State for the technical infrastructure specifications of geospatial information in Albania - the hydrography themes" and the respective project VKM, presented by representatives of ASIG. •	The progress of the project for Albanian Geodetic Reference framework, presented by representatives of ASIG. •	The data published in the National Geoportal of Geospatial Information, presented by representatives of ASIG.